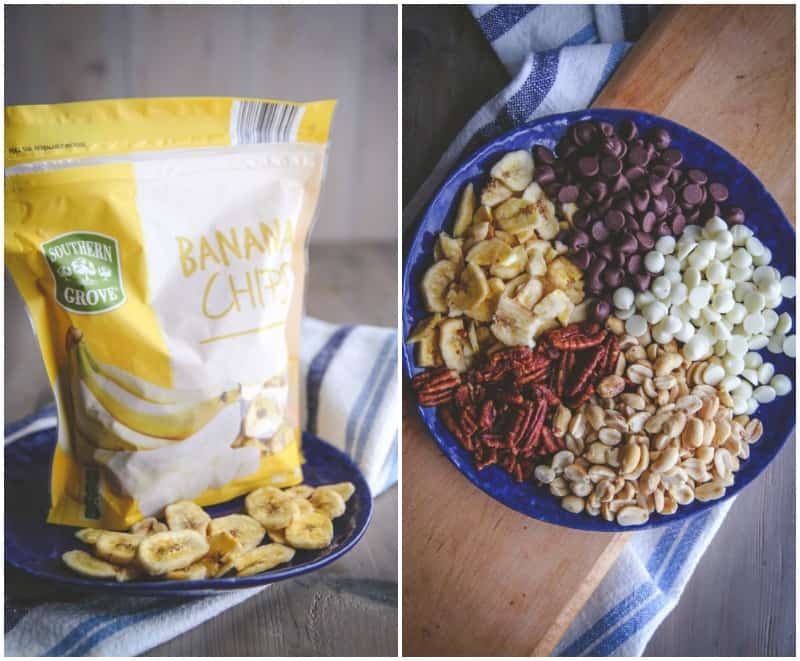 I’m such a fan of snacks and this 5 ingredient banana chip tuxedo trail mix is definitely at the top of my list – it’s so good! 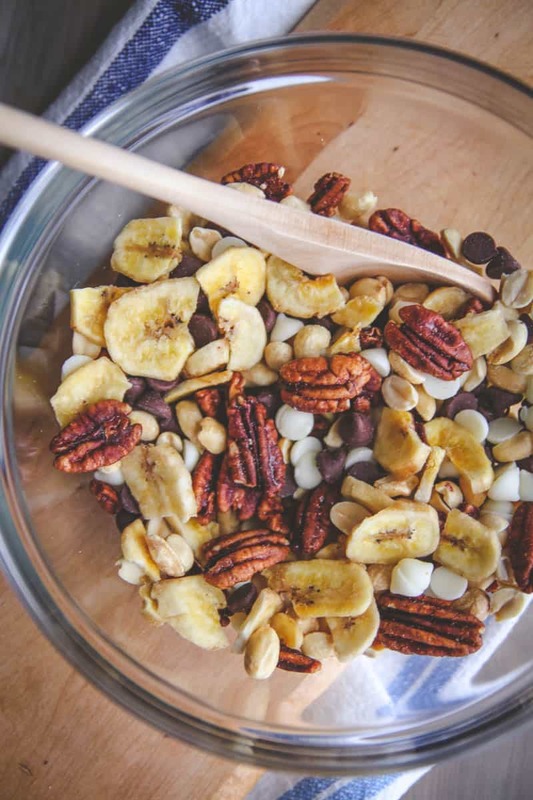 Today’s Five-Ingredient Friday is going to be super short and sweet, it’s for a super easy snack recipe: banana chip tuxedo trail mix. The reason I’m keeping the post on the shorter side today is because as you may know, we’re selling our house, and there’s going to be an open house this weekend, so I’ll be straightening everything up and making the best salted caramel chocolate chip cookies <-if those don’t convince someone to buy the house, I don’t know what will 😉 If you want a peak inside our house, here is the listing. Do you have any fun weekend plans? 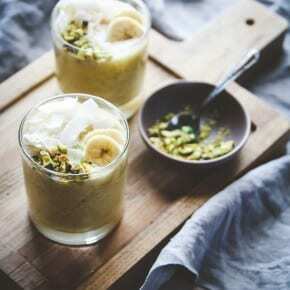 I’m totally loving banana chips, have you ever had them? They’re dried bananas and they have a delicious crunch to them. 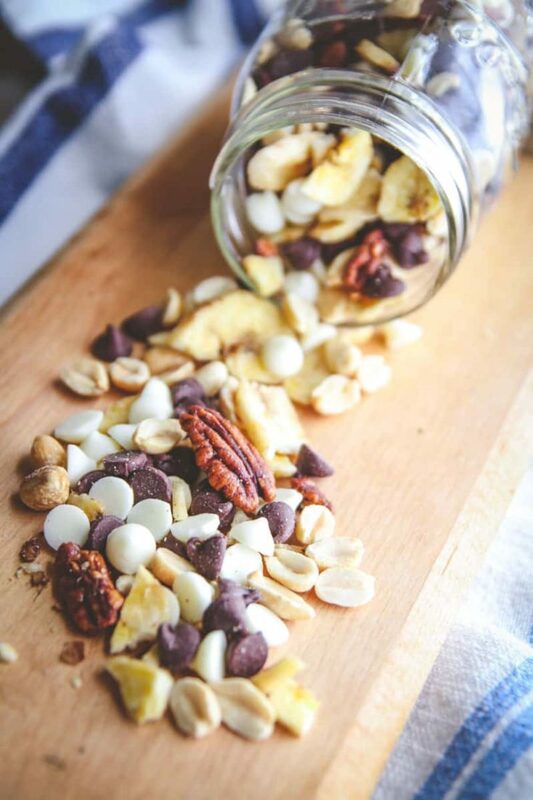 They’re great by themselves, but when made into a trail mix and combined with chocolate – totally next level delicious. 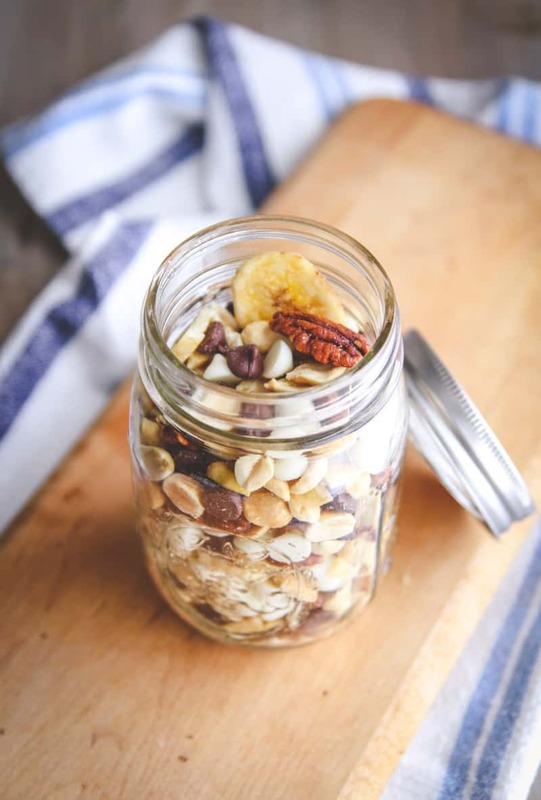 I’m also a huge fan of trail mixes, like this Wisconsin trail mix and I even have a recipe for a classic trail mix with M&Ms in my cookbook -speaking of my cookbook – I’m going to be doing a Facebook Live video and cooking one of the recipes from Fast & Easy Five Ingredient Recipes: A Cookbook For Busy People, join me by tuning in to the SweetPhi Blog Facebook page this evening 8/26 at 6pm cst, I’d love to cook together! 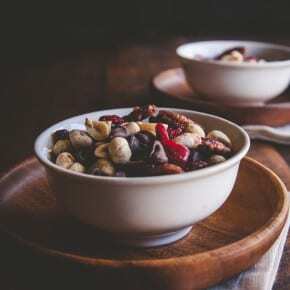 This trail mix has a great salty/sweet flavor combination and is such a great snack to have on hand. I like to chop the banana chips a few times, but that is not necessary if you're in a rush. Combine all ingredients in a bowl stir a few times,, then store in an airtight bag or container. I divide out the trail mix into 5 -6 small snack-size bags. Perfect snack mix combo for my kiddos. Thanks for the idea. 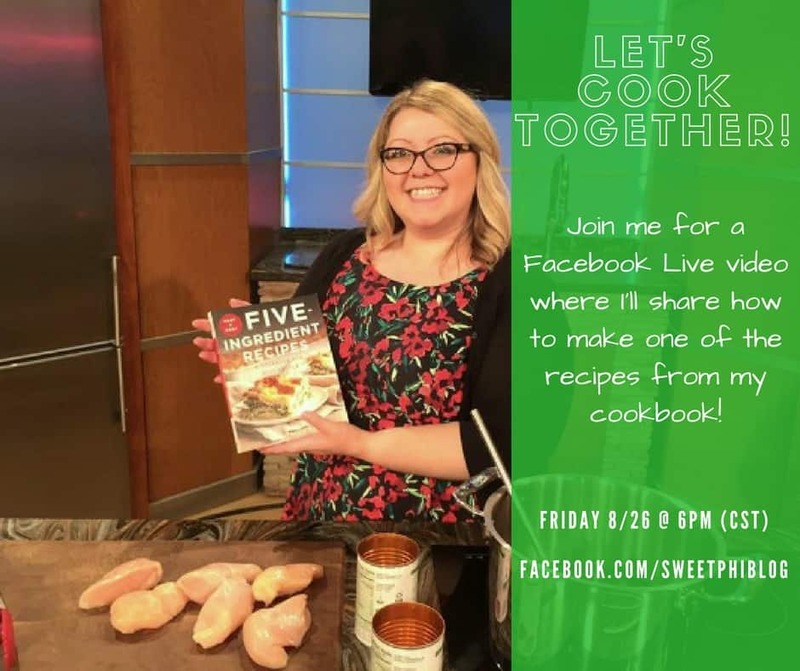 I’ll be looking for lots of lunchbox ideas for next week! 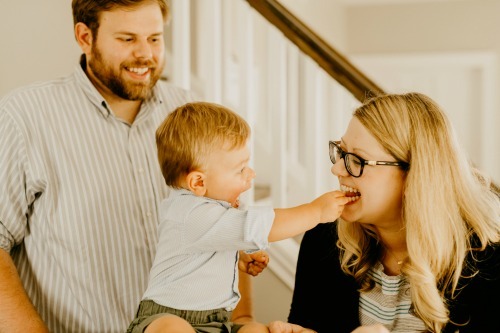 I think this would be perfect for your kiddos, it’s such a yummy snack. And best of luck with the start of school!!!! Oh I love this trail mix! It sounds divine! 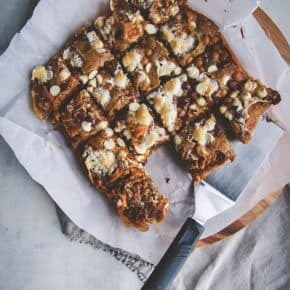 Personally, I love the chewy dried banana coins over banana chips, but I will definitely make an exception for this! Oh interesting – i didn’t even know they made chewy dried banana coins, I’ll have to go hunt them down. 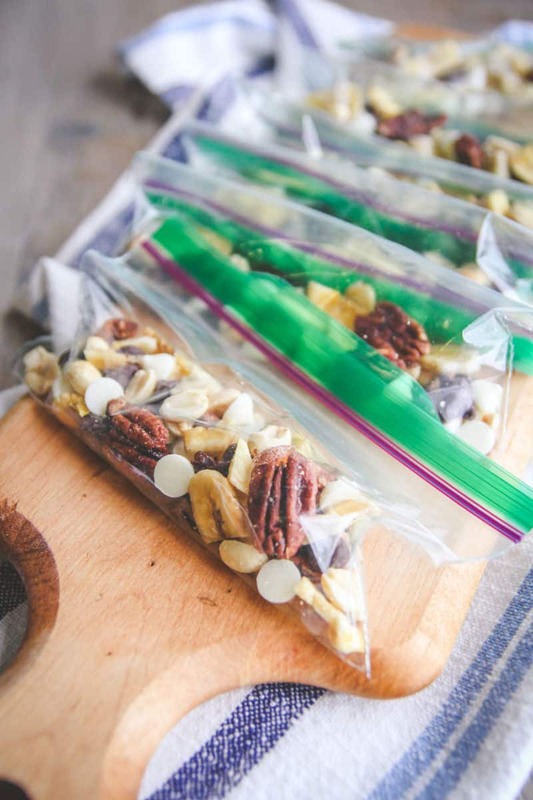 This trail mix though – sooo good!